Read about - Gregory River Rest Area below. 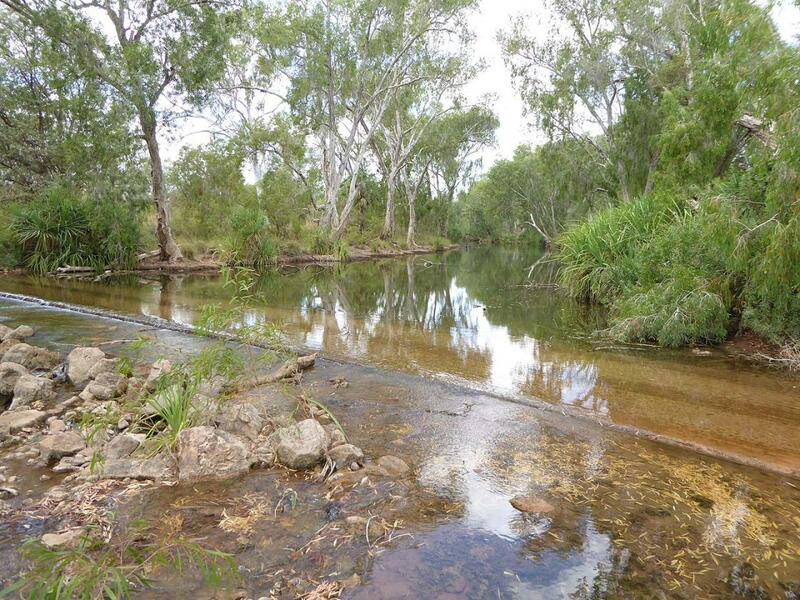 The unsealed Riverseigh Road leading toward Adels Grove and Boodjamulla (Lawn Hill) Natinal Park (from Camooweal) in outback Queensland crosses the O'Shannessy River in several locations. The O'Shannassy River is a major tributary of the Gregory River, running into this large system a little downstream of Riversleigh Fossil Site. This beautiful rest area is on the Riversleigh Road which is unsealed but in relatively good condition. The waters of the river are crystal clear perfect for an overnight camp or stop for a break in travelling and enjoy a cuppa in the shade. We saw several flocks of finches coming the water for a drink - just beautiful. have you been to Gregory River Rest Area? Explore Gregory River Rest Area with RvTrips and find out where to stay, what to do and what to see. Helping caravan, motorhome and camper owners have a great holiday.